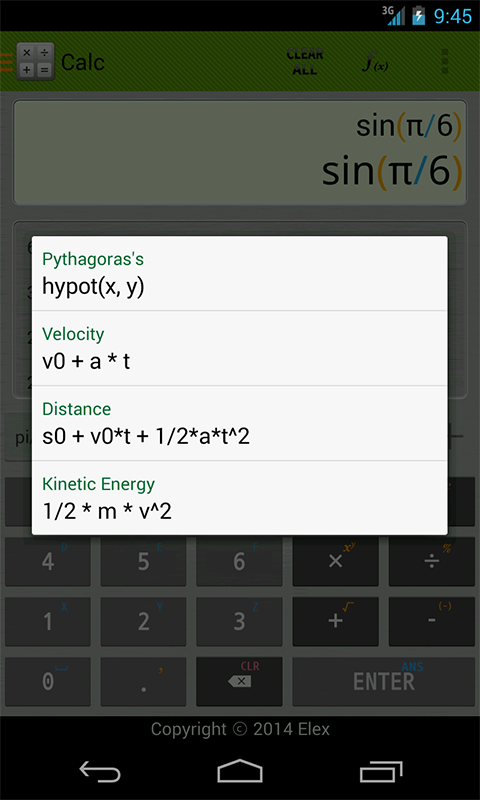 'Calc' is an engineering calculator. Users can define and use variables / constants / equations, and the value of a calculation result is stored to a special variable ANS. 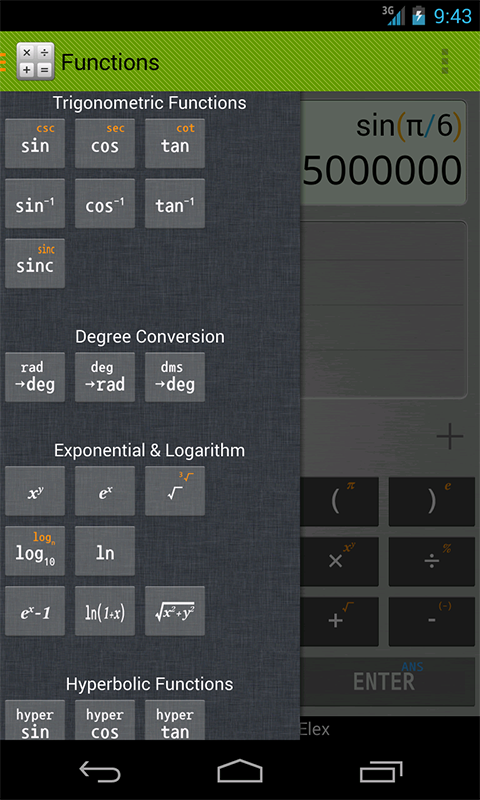 Various math functions are available, and to use the screen efficiently, a list of functions is located on a side drawer. 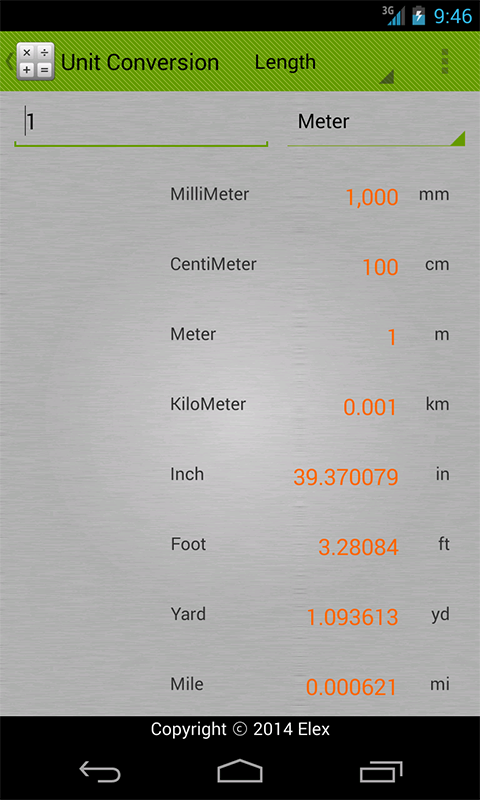 Uses BigDecimal as a value type so that it can calculate an infinite size of values, also the app uses Apache FastMath for a fast calculation. Users can edit the expression with a system's keypad by long-clicking the display view. Also, for a faster typing of an expression, user-definable quick buttons are available. 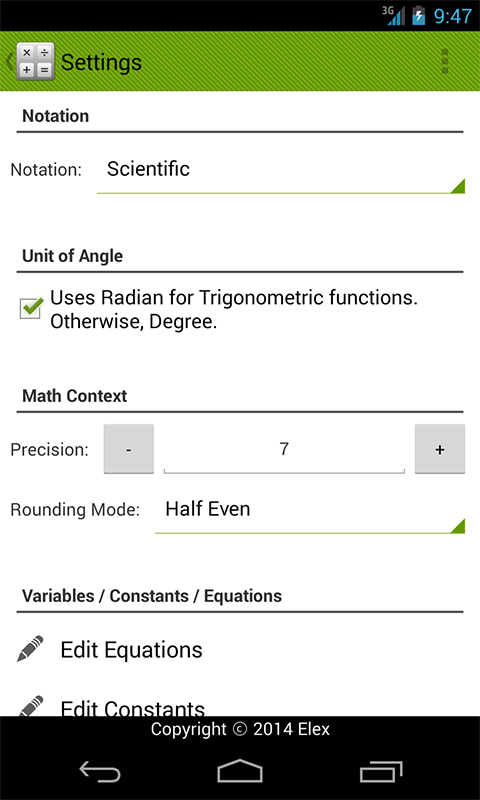 Users can define Variables, Constants, and Expressions. Almost every buttons are long-clickable. To type an upper character on a keypad, to edit the expression directly using system's keypad, or to edit a quick input button, long-click it. Numbers can be displayed one of Scientific, Engineering, Plain, and Formatted decimal notation. 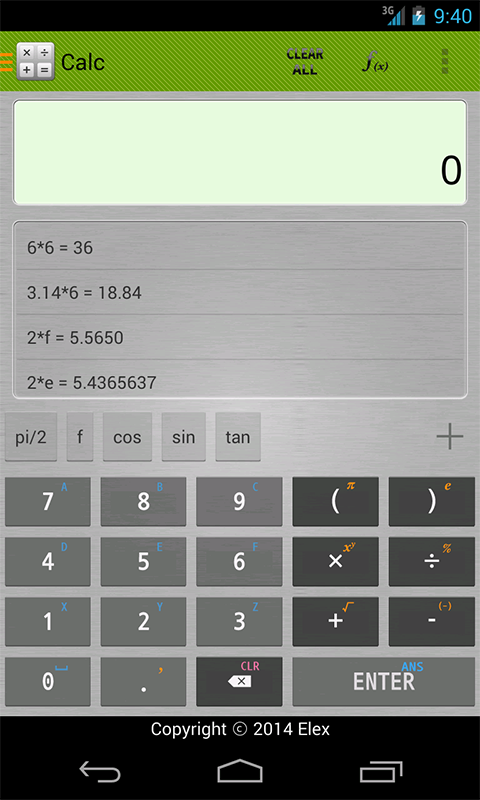 Also, a precision of the calculation can be set by user. Following open source projects are used as a part of features in the app. Math Expression String Parser under BSD license. Apache Commons Math under Apache license.